Education in Afghanistan is in crisis; decades of war have devastated the country, and more recently the conflict has intensified, driven by the rise of IS insurgents and the resurgence of the Taliban. An enormous 3.7 million children are out of school (44% of all school-age children) and the crisis is especially acute among women, who have a literacy rate of just 18% compared to 62% among men. Unfortunately, demand for education in urban areas is declining due to entrenched attitudes towards child labor and forced early marriage. Added to this, the country lacks safe, accessible learning spaces and trained teachers, with only 43% of teachers meeting quality standards. There is an immediate and significant need for education interventions in Afghanistan, to counter the risk of an entire generation, particularly girls, missing out on school. Over several years we have developed and refined a model of community-based education that prioritizes community engagement, and provides a holistic approach to increasing access to education, by addressing all the barriers children and their families face to school. This includes offering families, especially mothers, literacy classes, vocational training, health and nutrition awareness sessions, and income generation opportunities. In the last three years, our Community-Based Education Centers have provided education for 1,500 girls and boys who have been denied their right to a quality education. We have also helped over 1,400 women to access literacy, business, and vocational training. Together this approach has created a foundation for long-lasting and sustainable change, helping to break the cycle of conflict and poverty. 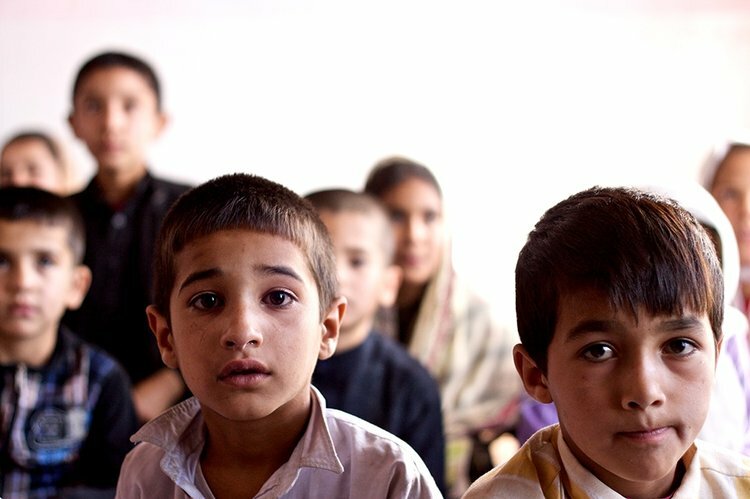 We have also worked with the large numbers of vulnerable children and their mothers who find themselves in conflict with the law in Afghanistan, via reintegration and rehabilitation support. We are also working to support the children of refugees who are now returning to Afghanistan. While estimates on the number of returnees vary, it is clear that there are well over half a million people, including children, now reintegrating to society in Afghanistan. We are providing these children with support to cope with the massive amount of change they are experiencing in their lives. In total, our various projects in Afghanistan will provide much needed support to over 17,000 children in the coming years.